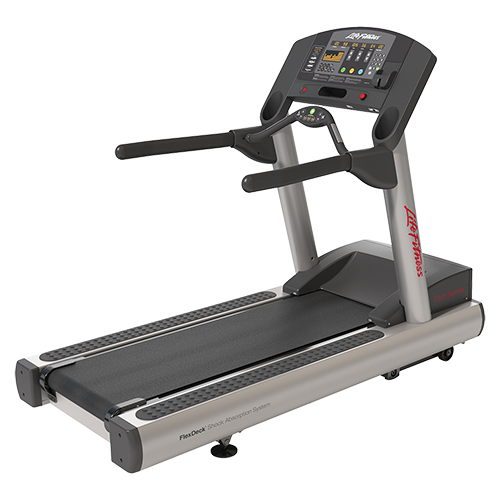 Here you will find the very best treadmills over $3000 on the market today. These machines are top of the line all the way, with the highest quality frames, commercial grade belts, high end components and health club level functionality. Any of these models is a great choice, it’s just a matter of finding the one that most appeals to you. There are a lot of choices when it comes to treadmills over $3000, as you can find a machine at every price level all the way up to $10,000 and beyond. Do you need a treadmill this expensive? Of course not, but if money is no object these are as good as it gets. At this price level you are dealing almost exclusively with the commercial brands, especially as you climb up to $5000 and above. There are some top of the line NordicTrack and Sole treadmills that approach the $2500 mark, but above $3000 you are looking at Matrix, Life Fitness and Precor, all great brands with stellar reputations. 1. Deck Size/Cushioning – The best treadmills $3000 and above should have at least 20″ wide by 60″ long decks, with some models offering even wider 22″ decks. This gives you plenty of room to stretch out, regardless of how tall you are. As far as cushioning, it needs to be commercial grade, with enhanced ability to reduce impact on your knees and joints. 2. Motor – All of these machines should have powerful motors, at least 3.0-3.5 CHP (continuous horse power). Some of the better ones even feature 4.0 CHP motors. Also, you want quiet performance, as any better quality motor will offer. 3. Incline Capability – You’ll definitely get at least 12% incline on all high end treadmills, and sometimes even 15%. Also note that some machines even come with decline capability, which adds a different element to your training. 4. Workout Programs – There should be plenty of different workouts to choose from on any club quality treadmill, including at least 10 options. They typically include interval training, random hills, weight loss, calorie goals, distance, cardio centric and more so you can really vary your routine from one session to the next. 5. Warranty – All of the best treadmills above $3000 should have very strong warranties. Look for lifetime coverage on the frame and motor, 2-5 years on parts/electronics and 1-2 years on labor at a minimum. Some of the better choices have even more extensive coverage. What extra features can I expect? Of course when you’re paying over $3000 for a treadmill, you are justified in expecting a bit more than just a solid treadmill with ample workouts and good coverage. Our expert’s best picks also feature touch screen displays, console choices, enhanced customization, entertainment and app integration, HD workout videos, tracking/sharing capability and other added touches like speakers, workout fans and water bottle holders. The extras will of course vary from one brand to the next, so consider which ones you would like to have. Which best treadmill over $3000 should you choose? First you have to decide what your budget is. Is it right around $3000 or is it up to $5000 or more? This will definitely help you narrow down your choices. We give you a number of great choices at various price points above, and each brand: Matrix, Life Fitness and Precor has a number of different models to choose from. As you move up in the lineup, you simply get more features and capabilities. We have a nice comparison of Matrix vs Life Fitness vs Precor here, which goes into the pros and cons of each brand. That will be helpful for you if you are considering these brands. Matrix is relatively new to the residential market, but they’re making a huge splash with their focused lineup of gym quality treadmills that are similar to their popular commercial machines. The Matrix T75 we highlight above is their top of the line model, costing just above $4000. It offers three console choices, powerful AC motor, large 22″ x 60″ Ultimate deck, ViaFit workout tracking, tons of built in programs and one of the best warranties in the industry. If you want something folding, however, the TF50 is a great choice right around $3,000. 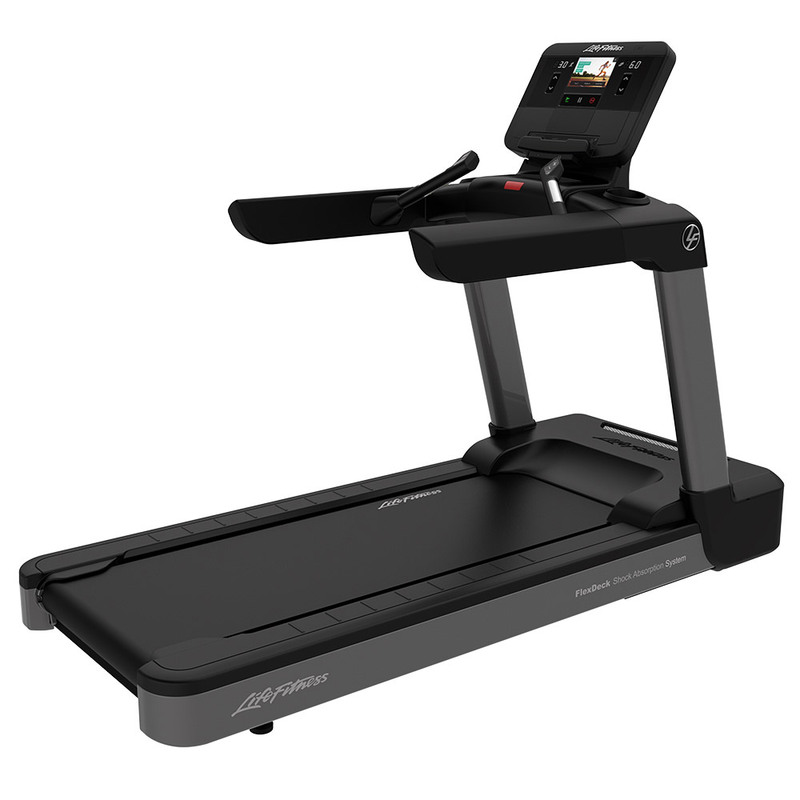 You can save a bit more with the non-folding T50 as well as the base TF30 folding treadmill. Life Fitness has been in the market for along time, and is one of the most well regarded names in the industry. They have a more extensive lineup than Matrix, with more choices in the $3000 + range. Our favorite pick here is the new Life Fitness Club Series + at around $6,000, but we also love the T5 at around $4,000. If you want to stay closer to $3,000, look at the T3 as well as the folding F3, both great treadmills that are a bit easier on the wallet. Another well respected name in high end fitness equipment is Precor, and they have a handful of great treadmills built for home use. Our favorite is the Precor TRM 445, part of the Precision Series, as it has patented technology to minimize impact and create the perfect stride, as well as a large amount of built in workouts, tracking capability, incline and decline and a touch screen display. The TRM 445 is around $5,300, so if you want to be a little closer to $3000 consider the top of the Energy Series TRM 243, which gives you many of the features that the 445 model has. You can’t go wrong with any of these brands, but we would lean towards Matrix as they bring a fresh approach to the high end market, with modern, sleek, technology-packed treadmills that are built for performance as well as enjoyment. A close second would be Life Fitness as they have added new models to the mix, which signals their devotion to giving customers what they want. We love Precor as well, but it’s been some time since they’ve updated their treadmill lineup. But again, all of the best treadmills over $3000 that you see featured here are great machines that will satisfy even the most demanding home user.